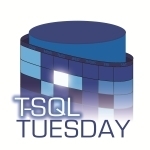 This month is the 14th T-SQL Tuesday (my how time flies!) and it’s graciously being hosted by MidnightDBA and newly-minted MVP Jen McCown (blog | twitter). – Speak More. I had a great time speaking at SQL Saturday #50 last year in Iowa City, and I hope to do more this year. I’ll only have to speak at 2 of them to accomplish this goal, though I hope it can be even more than that. – Travel More. Even if I don’t get a speaking spot at events I submit abstracts for, just being there and meeting new people is still the best part. I hope to make any event that’s within decent driving distance, and hopefully I can get to one that requires flying! – Become eligible to take the MCM exam. I’ve already passed Microsoft Exams 70-432, 70-433, and 70-450, which means I only need to pass 70-451 to become eligible to take the MCM test. I hope to do that in the first half of this year. I have no plans to take the MCM exam this year, as I consider that to be more of a long-term goal. – Attend training. 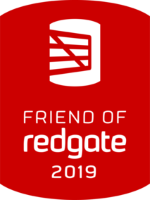 The free training that’s available by reading blogs and attending user group meetings and SQL Saturday events is wonderful, but I don’t think there’s any replacement for for the type of training that isn’t free. I hope to attend some type of formal training this year, whether it be the PASS Summit or a SQLskills.com immersion event. – Keep up the blogging. My (unwritten) resolution for 2010 was to start a blog, and post at least once a week. I went live in May, and now here we are in January. I think I’ve done a pretty good job so far, and my hope for this year is to keep it up and eventually work up to a consistent 2 posts per week. So long as I have the time to type this should be very possible, as I have a long list of topics I’d like to write about. – Learn IO. While I definitely don’t consider myself to be the degree of SQL Server expert that I hope to be someday, I’d like to start learning some of the underlying technologies a little better, the foremost being IO. At this point I have zero desire to go all-out and become a SAN Administrator or anything, but I know I have a lot to learn in this area and hope to start doing it. – Help out more. Just like many other SQL Tweeps, I monitor the #sqlhelp hashtag and am more than happy to help others out when a question goes up that I feel qualified to answer. I hope to do that even more this year, and to expand to another site that does the same, whether it’s the official Microsoft Forums or something like StackOverflow or ServerFault. So those are my goals for 2011. Towards the end of this year I hope to be able to post that I accomplished them all. Probably the biggest thing that could keep me from achieving them all at this point is the fact that I’m getting married this year and my wedding will be consuming great amounts of time and money that I could otherwise use for travel and/or training. I’ll definitely do my best though! Thanks, Jen, for picking such a great topic, and good luck to everyone else. May all your resolutions become reality!